WASHINGTON (UrduPoint News / Sputnik - 17th April, 2019) A representative from Iraq will sit at the head of the table and chair a meeting of the US-led Global Coalition Stabilization Working Group for the first time since the group was formed more than four years ago, the US Department of State announced in a press release on Wednesday. "This is the first working group meeting of the Global Coalition to be hosted by the Government of Iraq and held in Baghdad - a testament to a city that five years ago was threatened by ISIS [Islamic State terror group banned in Russia] operating openly on its outskirts," the release stated. 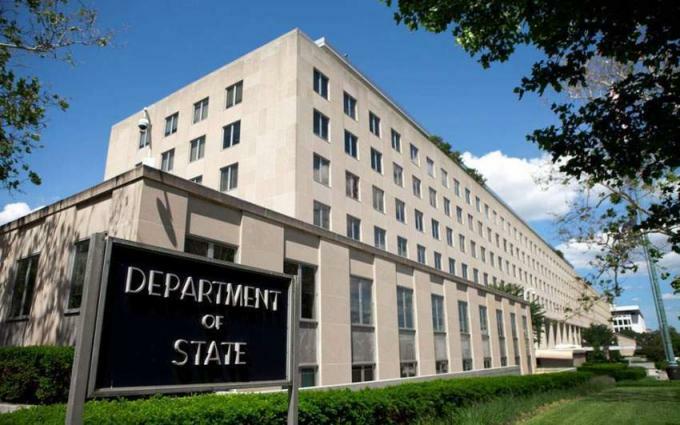 The State Department explained that the elevation of Iraq's status within the coalition reflects "the incredible progress made by the Iraqi people and the heroic Iraqi Security Forces in our shared struggle against" the Islamic State. US Deputy Special Envoy to the Global Coalition to Defeat the Islamic State William Roebuck arrived in Baghdad, Iraq, on Thursday to participate in the meeting, the release said. The working group was founded in March 2015 when Iraq turned to the United States and its allies to fight the Islamic State, which had overrun much of the nation.